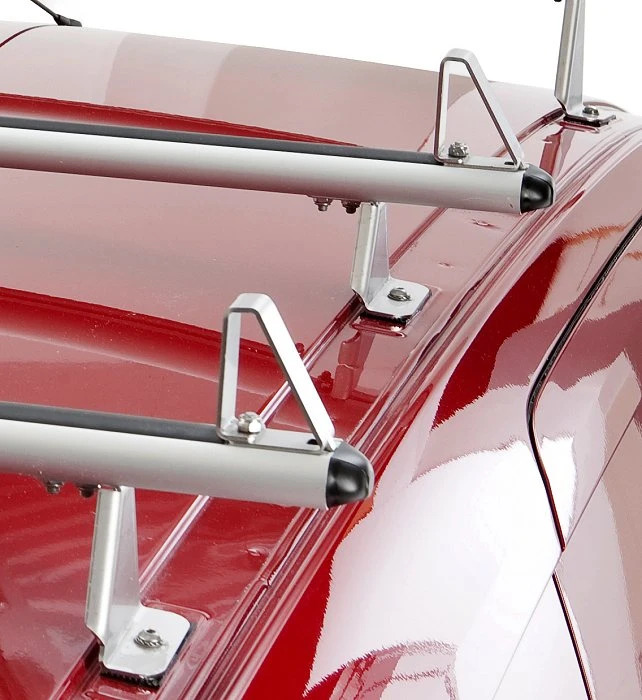 The Syncro ladder rack support system just got even better. We've added triangular stops that can be mounted to the bars of the utility racks. 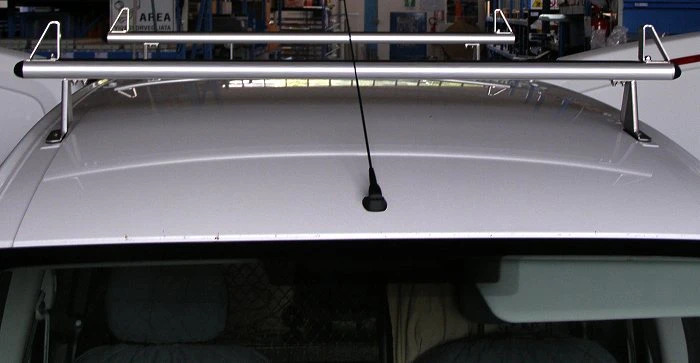 The Syncro System's extensive catalog is full solutions for transporting material on the roof of your van: a comprehensive system of utility racks, bars, pipe/tube carriers, and ladder racks can be custom-assembled to meet the unique needs of each client.All of the various components are constructed of extremely lightweight but resistant materials, making them perfect to bear the stress of heavy loads as well as being weather resistant. One of the newest additions to the utility rack system is the triangle shaped stop that can be mounted directly to the rack's aluminum lateral beams or cross beams. Made of 3 mm stainless steel, they are shaped for easy mounting, as well as providing increased strength. The much smaller front section helps to minimize problems of noise and vibration. The inner wall forms an angle of 90 degrees with respect to the lateral piece, making it extremely effective in holding the roof-top load in place. Of course, there's no problem if the stops are used as hooks for straps or ropes to secure the load. Not only are the new triangular stops easy, strong and handy, they are also designed to look great. Their stainless steel construction also means they won't rust or ruin with time. Click here for further information about roof racks, utility racks and ladder racks.